Finally it's Friday hooray! It has been a rough week in the manor with a poorly baby but finally she is getting back to her happy self so double hooray! Fancy Fold Friday is a feature that I used to do on my Facebook Page many moons ago and I'm bringing it back! 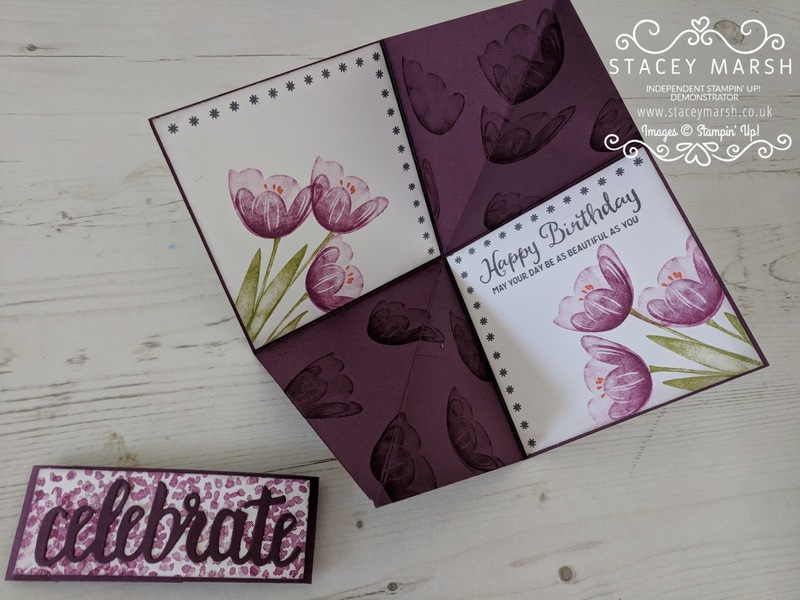 I always enjoy making cards that aren't the standard folded way and it's a great way to make a special card or surprise someone and this card does the trick perfectly! 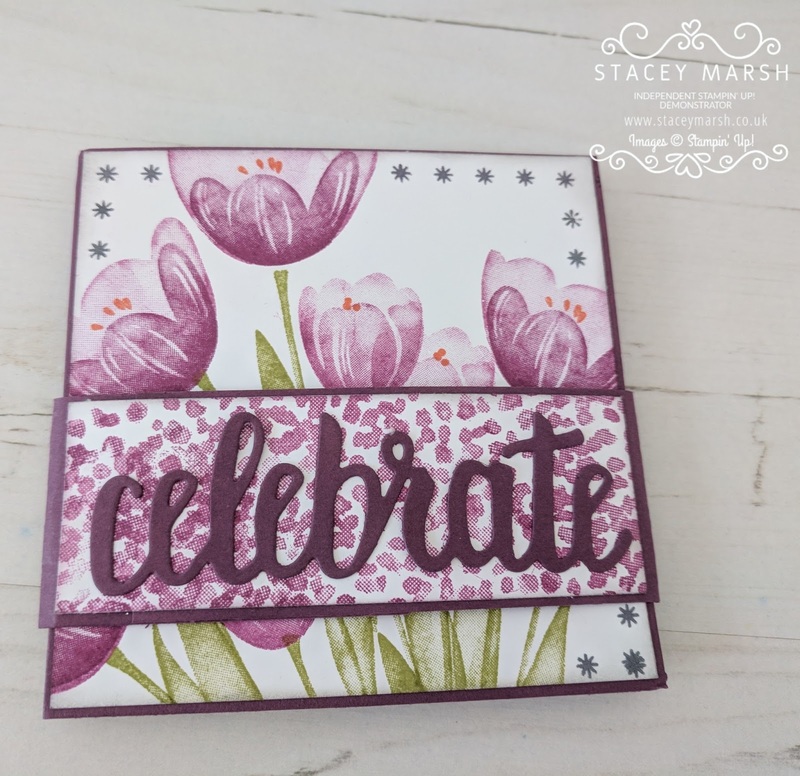 The base of this card is 8" x 8", folded across the diagonal, and then at 4" on either side so really simple and quick to put together! I have used the Hostess Stamp Set called Tranquil Tulips which is a 2-step stamp set which I have stamped in Rich Razzleberry Ink across the Fresh Fig cardstock, and on squares of Whisper White Cardstock for the front, insides and reverse of the card. This card folds down into a 4" square, and I have secured with a removable belly band.